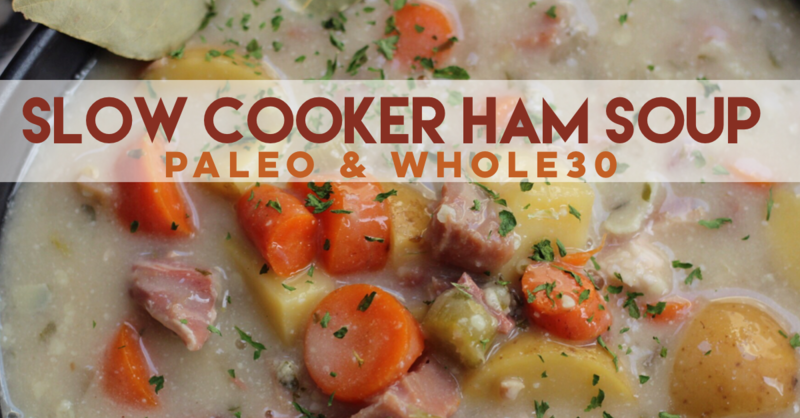 As per my usual, this slow cooker ham and potato soup is not only easy, but Paleo and Whole30 approved too. I was getting ready to head out of town for a few days and had some veggies and leftover ham that I wanted to use up before I left. It needed to be a freezer-friendly meal too being anything I made would have gone bad by the time I got home. 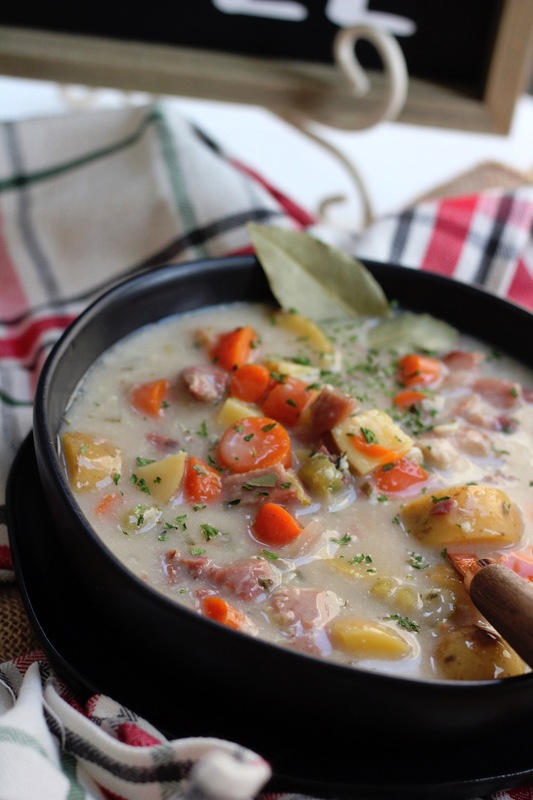 My favorite thing to do with leftover ham is throw it into a soup. Especially during the holidays when you have a bunch of leftover holiday ham and are super busy. Which is pretty convenient being I was running around trying to get all of my last minute packing, errands and cleaning done. 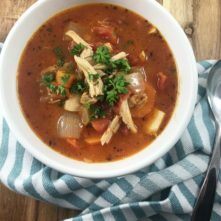 Slow cooker to the rescue… again. 5 minutes prepping and I can be out of the kitchen the rest of the day to check the other “to-do’s” off the list. The holiday ham I always choose for myself and for my family is from Pederson’s Farms (the highest quality and Whole30 Approved, too!). The fully cooked and pre-sliced hams leave me with tons of leftovers. Lucky me, huh?! Right in time for my January Whole30! YOU CAN GET THIS HOLIDAY HAM IN THE ULTIMATE WHOLE30 BOX ON THE SIMPLE GROCER. 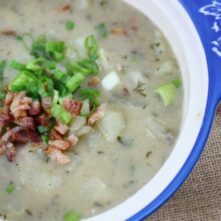 Ham and potato soup brings me right back to my childhood. It’s something I always remember my mom and my Nana making it with our leftovers after ham Christmas dinner or on Easter. It’s so simple yet so filling and just feels like home. My version is straight from my Nana’s recipe book but switched up just a little at the end to make the cream base Paleo and Whole30. Don’t worry! You can totally skip that step and eat it as a broth-based soup! 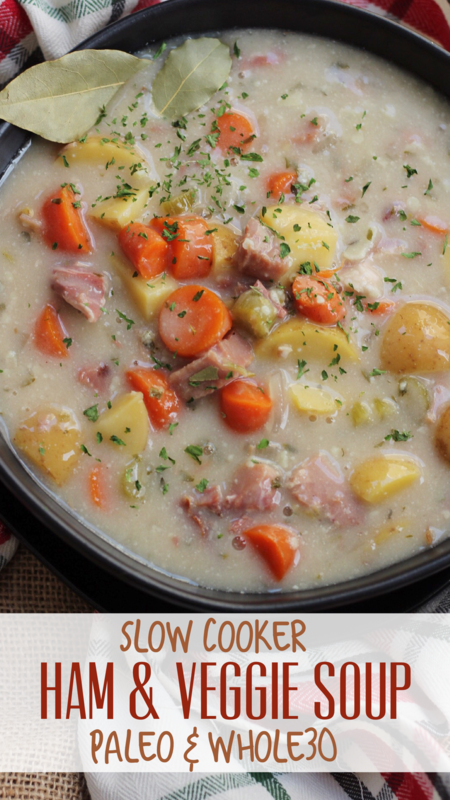 If you’re making a ham dinner with plans to make this with the leftovers, make sure you get a bone-in ham. Make sure to save the bone. Throw that in the slow cooker and remove once it’s done cooking. 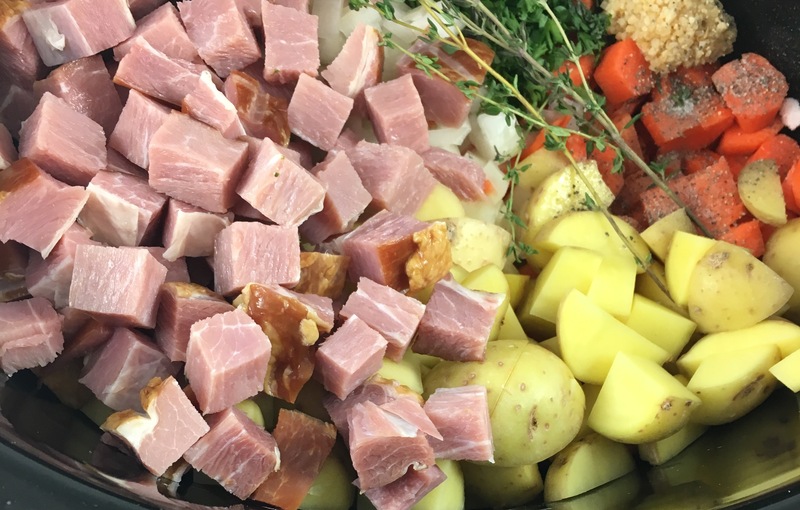 Making this ham and potato soup in the slow cooker allows lots of time to extract all the flavors out of the bone! This post may contain affiliate links, though all products are ones I use personally and recommend. When you purchase anything using my links, it costs you absolutely nothing extra, but it does give Paleobailey.com a little financial support which helps to keep this blog running. Thank you for your continued support, both with your dollars and your interest. If I pressure cooked this would that be okay, using the soup mode on my IP? How long? I popped over from Organizing Junkie menu Monday to read this recipe. Looks good and think I’ll use it tomorrow for leftover spiral ham from thanksgiving. I was talking with my sister via phone Sun and she was making ham soup too. What a small world. I also read your weight loss story. Keep going girl! Glad you’re health and well being is better. I’ll be back to check out more recipes! Happy New Year! 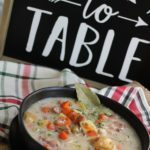 This recipe looks great, but I thought cream wasn’t Whole 30 compliant? 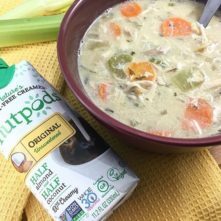 The recipe calls for Nutpods (a Whole30 Approved cream), and says to use your favorite Whole30/dairy-free replacement..
I’m so sorry! I must have been sleepy when I first saw the recipe! Forgive my insane question. Making this tonight and cant wait!